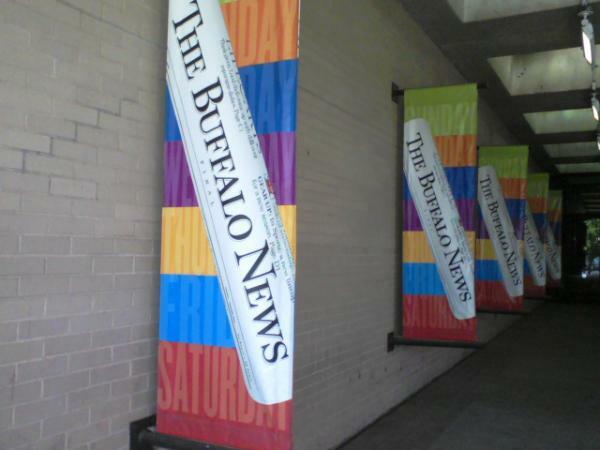 I started my copy editing internship at The Buffalo News today. Despite getting all frazzled while driving in the morning traffic, I was ecstatic to be there. It was so cool seeing reporters I had previously known only from headshots. Being in the newsroom and feeling like I belonged in it made me smile. A lot. In fact, my face started to hurt from all the smiling I did. I filled out paperwork, took a tour and got trained on the software — no reading yet, but they promised to put me to work tomorrow. So far, I’m thrilled. 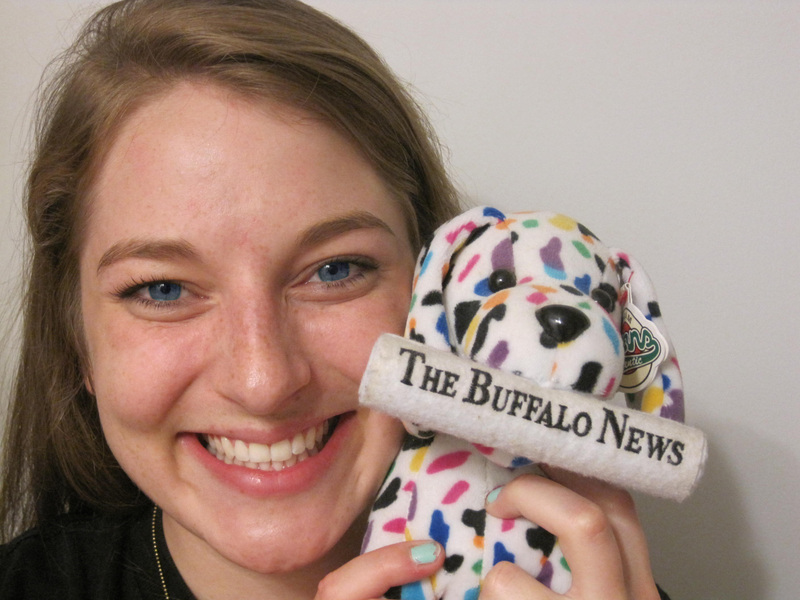 I was so thrilled that I went home, I took a photo with this promotional stuffed animal I got in 9th grade. P.S. I suppose my blog name still applies. I’m going to be spending my time in the city this summer… just not THE city.